So a friend of mine was asking me to put on some of my quick dinner meals. What I do is I use these little sauce packets. Next time you are at the grocery store, go down the baking aisle where all the spices are, and there are these little sauce mix packets. Stock up! Most of them that I have tasted are amazing, and super convenient. 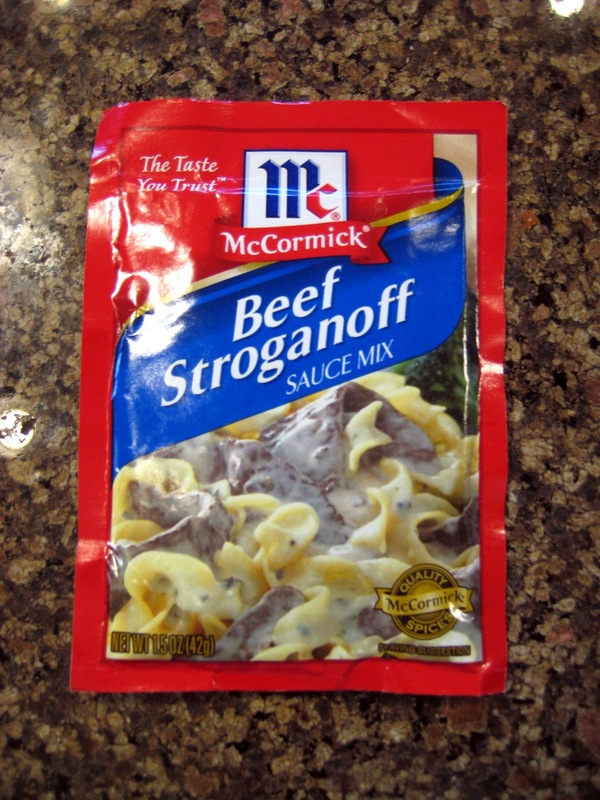 So for instants, you got your beef stroganoff packet. Follow the directions on the back, but basically you start your rice. Then cook your meat. It asks for beef sirloin, but what if you don’t have that in your house, or your on a budget. So replace it with hamburger. Drain your meat and set aside. Combined your sour cream, sauce mix and water. Place sauce and meat together in pan, cover and let cook on low just to keep it warm until your rice finishes. No joke 20 minutes and your done, not to mention it’s going to taste super yummy. I’m telling you if you haven’t tried these yet, they’re life savers!